We are so excited that you are wanting to participate and interact with our website. This website is database driven and interactive. It will allow site visitors (like yourself) to add their own relevant articles and links or to report relevant/inappropriate content. You don't even need a user account to do this. There are some advanced management interfaces that do require authentication. Continue on this page to learn how to do it all. While viewing the list of links, there is a "Report" link to the left of the link name. Click on the "Report" link beside the link that you think is inappropriate to report it. It will start a new email message (if your computer is properly configured). Simply send the email message and our primary admin will review the link and delete it promptly if it is inappropriate. The email message includes the web address (URL) of the site that is reported as well as a link they can click on to remove the link from the site. While viewing the list of article summaries, or a complete article, there is a button. Just click on the "Report" button and it will start a new email message (if your computer is properly configured). Simply send the email message and our primary admin will review the article and delete it promptly if it is inappropriate. At the right side of each page, there is a small form for site visitors to add links. There are two required fields. URL - Web Address - This is the web site/page that you want to appear on the site. It should be a complete valid URL including the "http" preceeding it. For example: "https://www.facebook.com/ThePixelProject". This is a required field, so it must be filled out before submitting the form. Page/Subject - This is the page or country that you would like the link to appear on. This generally defaults to the page that you are currently viewing, but also includes all of the country pages. I'm not a robot - To prevent automated spam posts to the site, we have implemented a reCaptcha system. 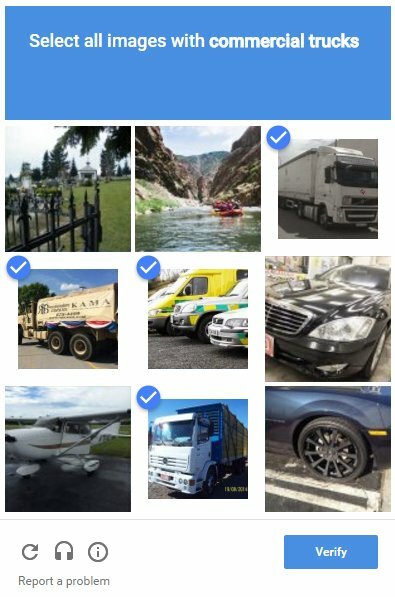 Please put a check in the box next to "I'm not a robot". It may then prompt you to answer a question to verify you are a person. Click the "Submit" button and your link will instantly be added to the site. The upload form processing will validate the link to ensure it's a functional link. It detects if it's a video or a web page. It also looks at the name of the web page, and uses that as the link name. Browse to the page you requested the link be added to, and you will see it. If you added it to the current page, you can click "Refresh" in your browser to cause the page to be updated with the latest content. Article Name (Required) - This is the title of the article you are adding. ), additional images, or special formatting. Photo 1 - This is the small article image that gets displayed in the article summary and at the top left of the full article. Articles display best if this image is already edited to a width of about 200 pixels. Click the "Choose File" button to browse for the image to upload. This field is optional. Photo 2 / Photo 3 - These are additional images that can be uploaded. They should be reduced in size to less than 3840 pixels to allow optimal page loading performance. These fields are optional. URL - Web Address - If you are adding an article that exists on another website, you can add the URL / Web Address where the user can link to the original article. It should be a complete valid URL including the "http" preceeding it. For example: "http://www.artilces.com/james.html". Since we encourage site visitors to post original articles, this field is optional. Language - This is the language that the article text is in. Page/Subject - This is the page or country page that you would like the link to appear on. It defaults to the page that you are currently viewing, but also includes all of the country pages. After you have completely filled out the form, click the "Submit" button. It's important that the form be filled out completely and properly before clicking "Submit" because there is not currently a user interface to edit articles. If you would like to have additional privileges to add and edit content at this site, you will need a user account. 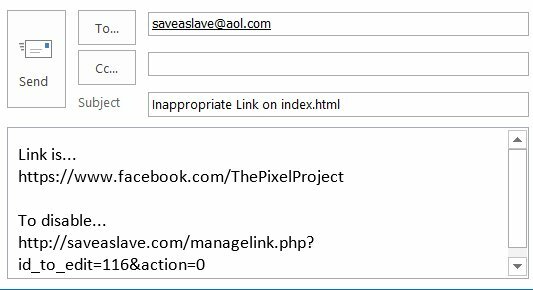 Please make the request for a user account by emailing saveaslave@aol.com. Please include specific experience you may have as well as areas of expertise, for example you may be bilingual. Instructions for managing advanced features that require a user account can be found at SaveAslave.com Advanced Technical Help.